Our children absolutely love Welch's Fruit Snacks. So, we were thrilled to be asked to feature it on our Easter gift guide. 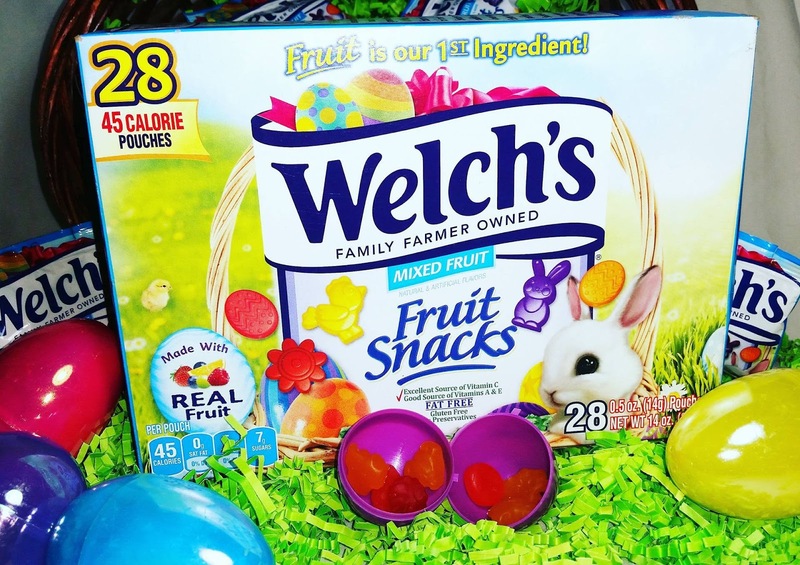 Right now you can purchase Welch's Fruit Snacks Easter Mixed Fruit Fun Size Pouches, click here to find them near you. We love that they are prepackaged and are easy to pack on the go. As a parent, I really like that they are made with real fruit and only 45 calories per pouch. They are also an excellent source of Vitamins C, A and E. Plus they come in super cute shapes just for Easter. 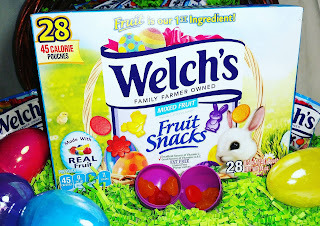 Welch's Fruit Snacks Easter Mixed Fruit Fun Size Pouches are also perfect treat to send to school for Easter parties and it's very affordable. They are a great alternative for children that can not have candy or have a nut allergy. Our kid's personal love getting this Easter treat in their lunch boxes also. 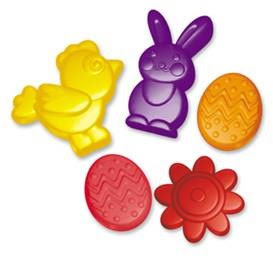 Easter-shaped fruit snacks - bunnies, flowers, eggs & chicks! 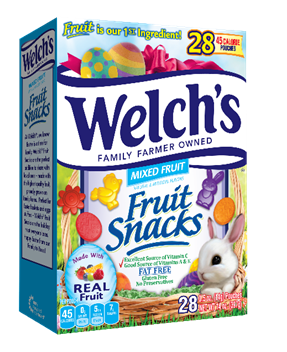 Welch’s® Easter Fruit Snacks are available in the Mixed Fruit variety.